← Okay, how about if I throw in a few cute pigs? I’m bashful, but apparently I’m also CLASSY. 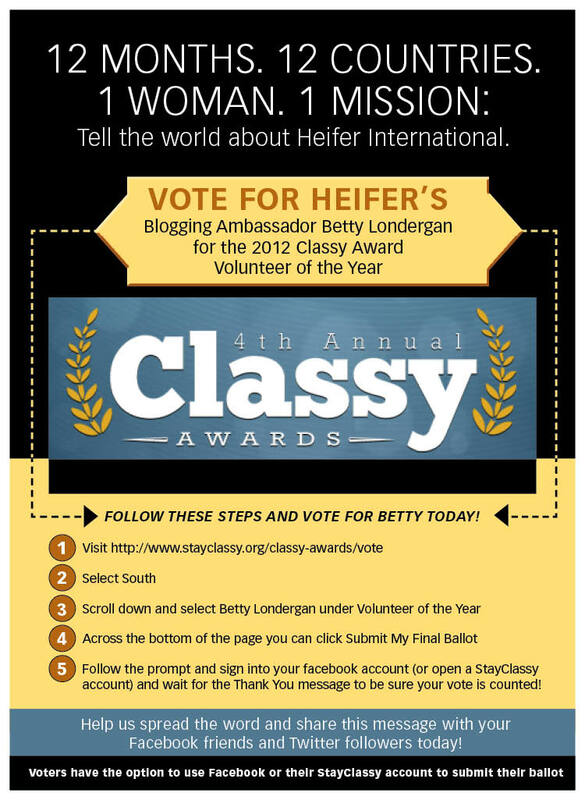 For my work on my OTHER blog, Heifer 12 x 12, I’ve been selected as a Top 5 Finalist for Volunteer of the Year in the 4th Annual CLASSY Awards, from a pool of 2,400 nominations. The CLASSY Awards is the largest philanthropic awards ceremony in the country, celebrating the greatest charitable achievements by nonprofit organizations, socially conscious businesses, and individuals worldwide. In 2011, nearly 2,000 organizations and volunteers were nominated for a CLASSY Award, and their collective efforts impacted the lives of more than 200,000,000 people in 71 countries worldwide. So what’s so classy about me?? I have no idea, but it’s fabulous recognition for my pals at Heifer International, so I’m all about getting to the next level — and to do that, I need your vote by July 26 (next Thursday)! Thank you a million times over … I really appreciate your vote!! *If you don’t have a Facebook account, click on the option to open a StayClassy account and use that! Who loves the B? Apparently quite a few people! I am inspired. You are such a peach! Betty, I’m sorry I just saw this post and didn’t get a chance to vote. But you’re definitely an award winner in my book — as classy as they come. I voted Betty!! I think you’re going to win! Aw, gee Alice — you’re making me all choked up!! Thanks a million for the vote and the shout-out!! Wish I could go have a glass of vino with you!! It “says” it accepted my vote without me going to FB. Is it fibbing ? I’m not sure but as long as it said “Thank you” — then I think you’re good!! I voted last week! Can we vote more than once? It wouldn’t be the first time a ballot box has been stuffed! Heifer’s such a worthy cause and you have knocked one out of the park on their behalf with your 12 x 12 campaign this year, Betty. Hope you win for Heifer because you both are indeed CLASSY. Dearest Susan — Alas, apparently you can’t vote twice but as long as you signed on with facebook at the end, it’ll count. THANK you for voting — and I really appreciate your support and super kind words. It’s a big deal for Heifer !! Done! And pleased to be able to put my mark beside your name. Lots of hot competition! I voted! I am always voting for you !! Okay, I got the link on my FB page. Is that the final step? 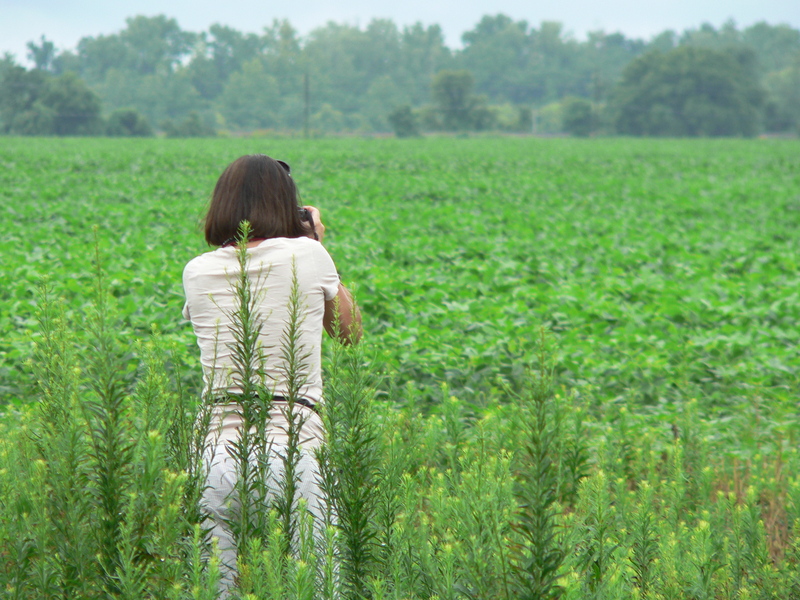 Friend me on FB so we can double check! Congrats again! Good for you, Betty. You deserve it, if anyone ever did. Hooray for you. Hooray for Heifer. I will vote.